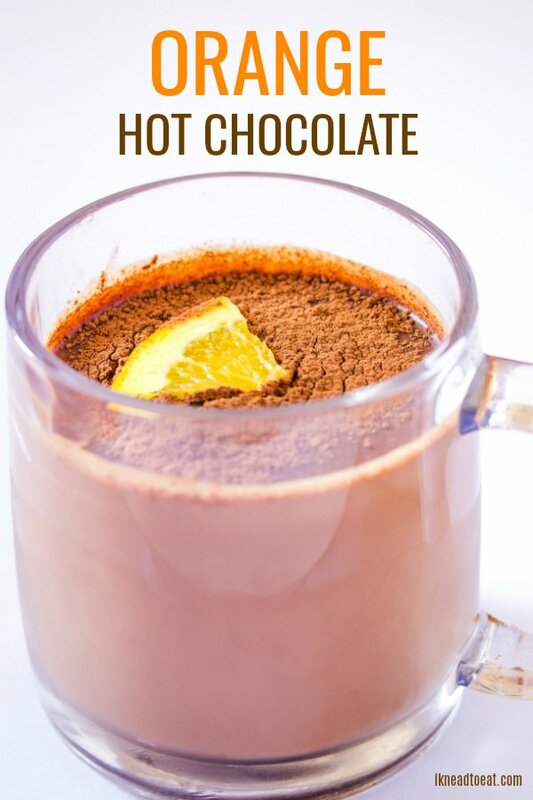 Orange Hot Chocolate is a deliciously decadent hot chocolate flavored with orange. It’s like drinking your favorite orange flavored chocolate! 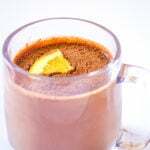 This Orange Hot Chocolate is a delicious citrus twist on hot chocolate. 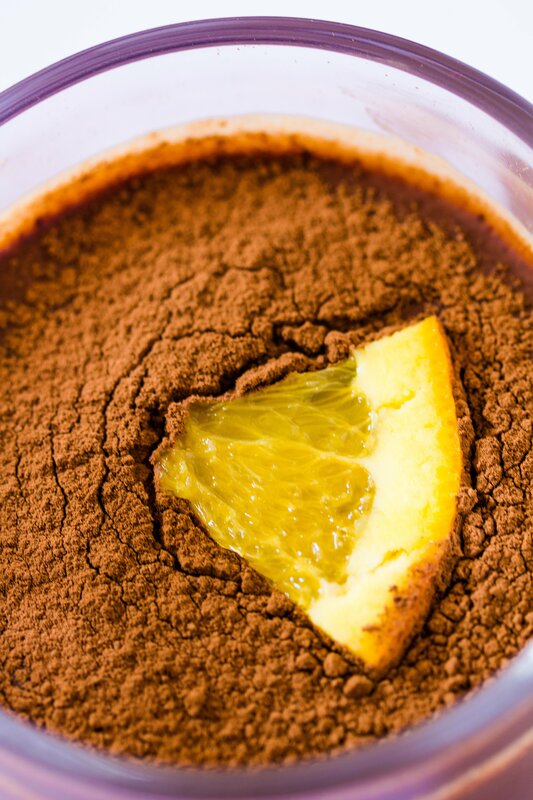 And if you love the combination of orange and chocolate, you’re sure to love this hot chocolate, and I’m so happy that it’s part of my Hot Chocolate Extravaganza. This Orange Hot Chocolate is inspired by a chocolate orange I used to have when I was studying in the UK. I don’t remember the name, but it was shaped like an orange and even had segments, just like a real orange. But it was chocolate flavored with orange. And it was delicious. While brainstorming ideas for hot chocolate recipes for the Hot Chocolate Extravaganza, I came up with the idea of making orange hot chocolate. I wasn’t sure how it would work out, but honestly it came out to be delicious. Now the recipe card below lists orange juice as an ingredient. And before you run away, please hear me out. I know it sounds weird. But it really works. I used Florida’s Orange juice, but you can even try fresh orange juice. Other ingredients include milk, cocoa powder and orange flavored chocolate. This Orange Hot Chocolate is pretty easy to make, and it’s such a delicious warming drink. So if you’re somebody who likes chocolate and orange together, then this orange hot chocolate is perfect for you! Use good quality orange flavored chocolate. I used Lindt Intense Orange, which is a delicious dark chocolate with little bits of orange. And it’s extremely delicious. Make sure to use any good quality orange flavored chocolate. For the orange juice I used Florida’s Orange Juice, but any good quality juice would work. I think fresh orange juice would be great too, but I haven’t tried it myself in this recipe. 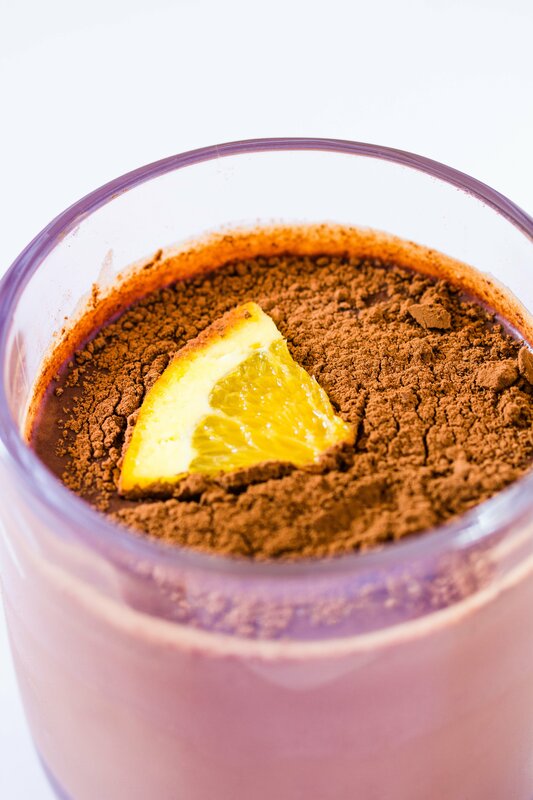 This Orange Hot Chocolate can be stored up to 3 days in the refrigerator in an airtight container such as a mason jar. 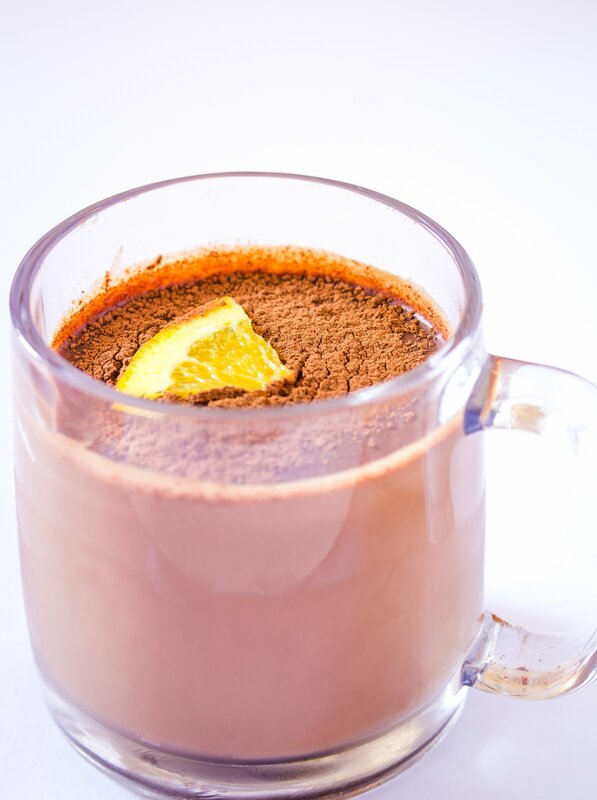 Orange Hot Chocolate is a deliciously decadent hot chocolate flavoured with orange. It’s like drinking your favourite orange flavoured chocolate! In a medium sized sauce pan, pour in the milk and orange juice. Bring to medium heat (do not let the milk boil) and add the cocoa powder and orange chocolate, while whisking continuously. Once the chocolate has completely melted, remove from heat and pour into mugs. 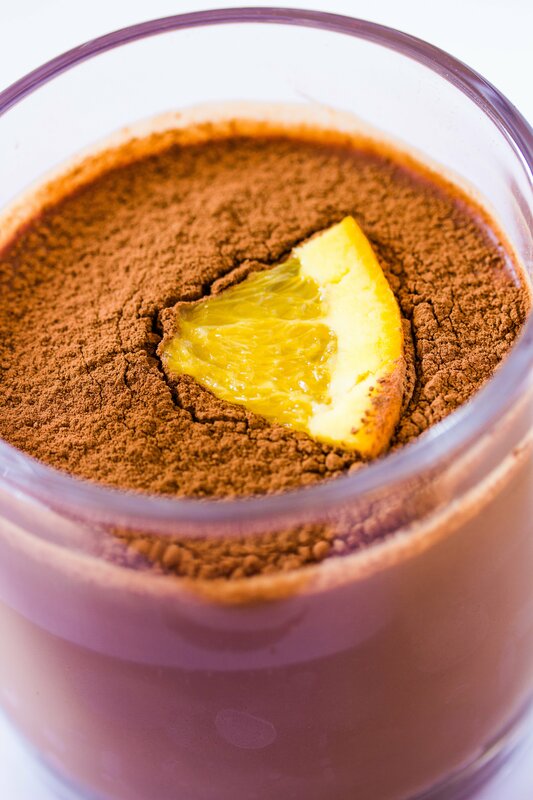 Orange Hot Chocolate can be stored in an airtight container such as a mason jar for up to 3-4 days in the refrigerator.